Kaappaan is an upcoming tamil film directed by K.V.Anand and produced by Subaskaran under Lyca Productions. It stars Suriya, Mohanlal, Arya, Sayyeshaa and others. While the shoot for Kaappaan has gotten over, the makers are working on the post productions works of the film in full swing. K.V.Anand has now given intriguing information aboutIon his twitter page. 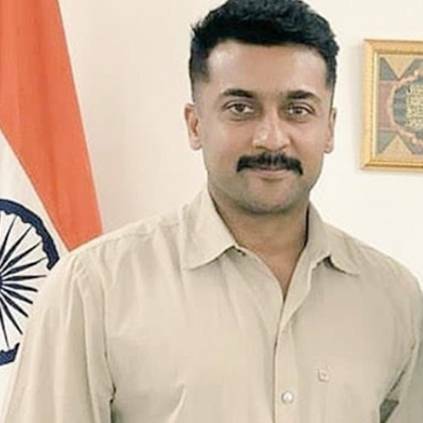 On his twitter post he has teased his fans and indirectly told that there is going to be something out from Team Kaappaan for Tamil New Year. Fans are starting to anticipate that, it will be a teaser video or a single from the movie which will be released on April 14. Either way, this is an exciting new especially for Suriya Fans. Suriya has already started filming for his next with Sudha Kongara which is now called as Suriya 38. We might have to wait till April 14 to know what team Kaappaan has in store for us. People looking for online information on Kaappaan, KV Anand, Lyca Productions, New update, Suriya will find this news story useful.